Running a home business takes all the willpower, expertise and professionalism of running a more traditional small business, but not all clients and customers understand this. Not used to this slightly unorthodox approach to business, some will take your business more seriously if it is coated in the traditional trappings of business practice. It’s called a home business for a reason. But meeting clients in your own house can seem unprofessional. Whether you are working with suppliers, clients or associates, many people you are meeting may be used to more sophisticated and formal surroundings and thus find the transition jarring or off-putting, as the Guardian’s Small Business Network points out. 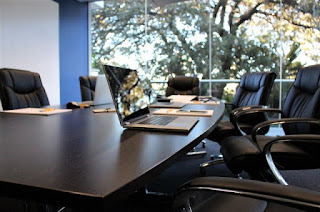 Though you could simply arrange to meet clients in public places such as hotels, the most professional solution to this problem is to rent a virtual office for post and hire meeting rooms for meetings. As explained by experts i2 Office, a virtual office gives businesses a sophisticated city address for all postal and telephone correspondence. With a virtual office you can continue to work from your own home for your comfort, convenience and price, but when clients call you and send you mail, they will see you for the professional business person you truly are. As well as this, you can book meeting rooms through companies such as i2, Workspace or Regus to give even more of an air of professionalism to any in person meeting you should have. In the modern tech landscape, every business worth its name is increasing its focus on the internet. There are several key areas of the net that any professional-looking business will have to make an impact. Having a good website is one of the most important things for a 21st century business. If you do not know coding and development yourself, it is possible to use a simple make-your-own service like the much-advertised Squarespace. For a real professional sheen though, it may be worth enlisting the help of a professional web design firm. As the Guardian points out, the higher cost may well be justified by the site’s effectiveness. Social media is another important element of any business. Since you are in complete control of what you post and share, it is easy to create an identity that is for more professional and upmarket than your humble base of operations would betray. Try taking the time to plan your social media strategy each week, taking care to project the image you want your clients and customers to see. You may not have put too much thought into naming your business or you may simply have named your business before you started working with clients. Whatever the case, the name of your business will have a huge impact on the way it is perceived by clients or customers, active or potential. As explained by Inc, your company name is the first thing customers will see. It is your first impression. It gives you the opportunity to give your take on the industry you are working within and it gives you the chance to be remembered. Domain name marketers Novanym have observed that catchy business names are increasingly important digital assets. Novanym state that “In the constantly expanding digital marketplace, your brand name can travel further than ever before”, with social media and search engine results making businesses increasingly visible. Taking time to choose the right business name and domain is crucial to the longevity of your business success. Think about a creating a brand that will resonate with the kinds of other companies and customers you are trying to impress in the long run. That way, you will never have to change it.